What a joy it is to have Albert out of prison, after all these years of struggle, it is a rare and special treat to hear his voice on the phone each morning as we review the days schedule and events. In Albert's first month of freedom he stayed busy every day, obtaining identification papers, scheduling doctor and dentist appointments, visiting with family and supporters - every moment was occupied. Since the end of March Albert has been in Texas, visiting with his brother Michael and his family and getting some much needed rest. This weekend, Albert and King head to Pittsburgh to participate in the International Conference on Solitary Confinement, where they're sure to run into many of the activists and supporters that have been involved in the effort to end solitary confinement. After Pittsburgh, Albert will be headed back to New Orleans to attend his first family reunion! Early May finds him headed to Los Angeles for the Death Penalty Focus Conference and then on to a long- anticipated trip to Yosemite with Sacramento supporters, Gail Shaw and Billy X Jennings. Every day is an adventure; shopping, banking, post office- all the things we have grown accustomed to are new to Albert. Below you'll find the latest statement from the legal team. As Albert stated in one of his early interviews after his release, "There's a movement in the country about solitary confinement...we think that we were the spark...for that." We couldn't agree more! Although both the civil and criminal cases have been settled, significant changes to the Department of Corrections policies in Louisiana regarding solitary are in the works and we hope to be able to share more detail in the coming months. Meanwhile, around the country and around the world, there has been greatly heightened awareness around the issues of solitary confinement and like Albert and King, we feel that the case of the Angola 3 has been instrumental in this raised consciousness and are thrilled to see articles such as the one from Ottawa that use the Angola 3 case to leverage the abolition of solitary. Albert looks forward to joining the fray in carrying on the movement to abolish solitary and to expose the inequalities of the criminal justice system. We are proud to stand behind Albert and King and assist them in any way that we can as they carry on with their advocacy work. "On April 5, 2016, the United States District Court for the Middle District of Louisiana dismissed the long-pending civil rights action brought by Robert King, Albert Woodfox, and Herman Wallace against Louisiana Department of Corrections officials upon the joint motion of the parties. The case has been settled, and the agreement is confidential. Plaintiffs King and Woodfox are confident the Louisiana Department of Corrections will significantly overhaul its policies concerning solitary confinement in the coming months so that no one in the future will experience what they had to endure." Amnesty International UK is delighted to announce a special UK preview screening of 'Cruel and Unusual', the documentary feature film that tells the story of the Angola 3's struggle for justice and the cruel and unusual punishment of long term solitary confinement in Louisiana prisons. The film includes a recent interview with Albert and will be followed by a discussion with Angola 3 supporter and activist Sam Roddick, Director Vadim Jean, campaigner Tessa Murphy and Robert King who will join via a live link. You can find out more and reserve your free place here. CNN's Christine Amanpour conducted an excellent interview with both Albert Woodfox and Robert King. The television interview can be watched here. Featured below are excerpts from some of the other new reports published since our previous newsletter. Unfortunately, Woodfox's story is not the only one. According to The Guardian, approximately 80,000 Americans are being held in isolation. A report from Yale University puts the estimate even higher, deeming that of the 1.5 million incarcerated individuals in the US, nearly 100,000 are being held in solitary confinement facilities. The fact there is a lack of consensus over how many American citizens are so imprisoned is a grave concern. At prisons in Colorado, of the thousands being held there, only 75 prisoners have been documented as developing debilitating mental illnesses due to solitary confinement, even though it's widely known that almost every individual incarcerated for prolonged periods of time develops psychological complications by the time they are released. Without a doubt, there are many more prisoners whose physiological and mental disorders have gone undocumented. That this sort of inhumanity still exists is alarming and disheartening. 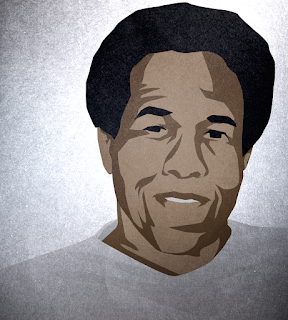 The actions of the Angola Three have emboldened the solidarity amongst prison abolitionists and human rights activists the world over. Woodfox said in closing, "I am now a free man. I can go home,right now, be with my family, and none of that would have been possible if it wasn't for all the people who stood up beside me and did what was right." "There's a different rhythm to living in society as to living in prison," Woodfox says, "and I'm trying to adjust. Hopefully, I will get there." For him, there was never a moment's thought to giving up his fight to prove his innocence and gain his freedom. "There were times when I was frustrated and angry," he says. "I've been through panic attacks, claustrophobia attacks, but I never gave up and lost hope. "Woodfox says it was something special that kept him going. "The qualities as a human being that I inherited from my mother - such as strength, determination," he says. "And I think having Robert King and Herman Wallace as only my comrades, but best friends, made it possible for me to endure a great deal." Kings says that he found similar strength in his friendships. "I was motivated also by Herman and Albert and other people who I came in to contact with, despite the fact that we were in solitary confinement," he says. I have spent the better part of three years writing about Woodfox, Wallace, and King. My interests began in the Black Power origins of the Angola 3 and their connections to the New Orleans Black Panther Party. But as I continued to write about the Angola 3, I started to argue for an intellectual history of the Angola 3. Knowledge creators and producers don't have to be in positions of power and in fact the Angola 3 follow in a long line of incarcerated writers and artists using art and intellectual pursuits to gain power. The Angola 3 have done just this. 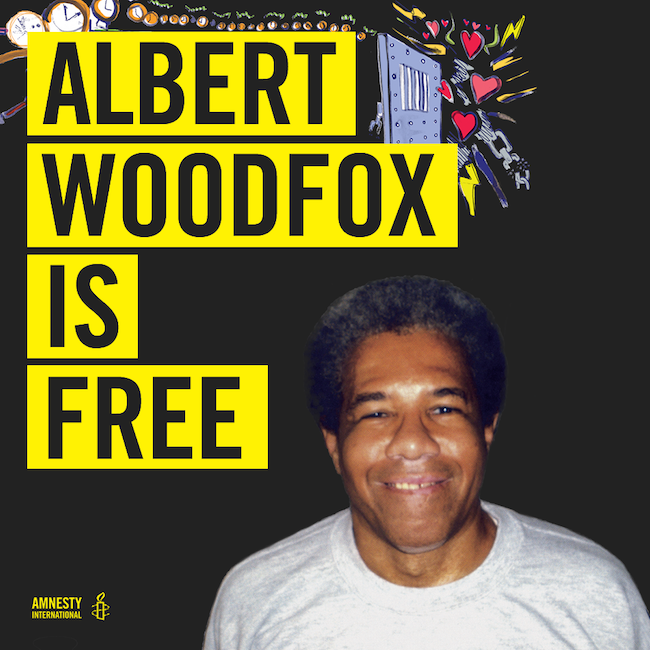 On Feb. 19, Albert Woodfox of Louisiana was released after spending 43 years and 10 months almost exclusively in solitary confinement. The United States is known for its extreme tough-on-crime approaches; but is it possible for an offender to spend 43 years in solitary confinement in a Canadian prison? Last month, the Ontario Human Rights Commission called for an end to solitary confinement provincially. Although it would entail a new prison policy overall, the end result would be a more humane approach to imprisonment in Ontario.